The General Secretary of the Convention People's Party(CPP), Prof Nii Noi Dowuona, has stated that the CPP is ready to merge with all progressive forces that believe in the Nkrumaist philosophy. He also described as welcome news a statement by the People's National Convention (PNC) that it was ready to merge with the CPP. In an interview, he hinted that the Central Committee of the CPP would meet today to discuss the just-ended elections and the way forward and added that “the latest development will feature prominently at the meeting, including the unity of all Nkrumaist forces”. Prof Dowuona was reacting to comments by the National Vice- Chairman of the PNC, Alhaji Ramadan Ahmed, on Joy FM that the PNC was ready to merge with the CPP to wrest power from the ruling New Patriotic Party (NPP) in 2008. According to Alhaji Ramadan, the process of coming together had always engaged the thoughts of the leadership of the PNC but the expectations for a merger between the two parties before the 2004 elections did not materialise, which led to the formation of the Grand Coalition, comprising the Great Consolidated People's Party (GCPP), the Every Accountable Ghanaian Living Everywhere (EAGLE) Party and the PNC. “The idea of coalition was part of our thinking to get Nkrumaists together but that did not work,” he said “We are now trying the coalition strategy to see if we could keep ourselves together to minimise the animosity, as well as our differences,” he said. He said the party would welcome a reunion with the sister Nkrumaist party, the CPP. Prof Dowuona stated that the personal ambitions of individuals who claimed to be Nkrumaist had been the greatest threat that had undermined the noble objective that all progressive forces had been yearning for. He stated that for such talks to yield fruitful results and culminate in a bigger Nkrumaist body that would be able to wrest power in the next elections,Nkrumaist faithful must eschew parochial interests and place the interest of the ordinary Ghanaian at heart. Asked whether the talks would involve the National Democratic Congress (NDC), Prof Dowuona indicated that “it is not appropriate to tag parties by their names but by their philosophies and whether or not they are in consonance with the Nkrumaist ideology of using the nation's resources to enhance the well-being of the down-trodden in society”. According to him, the presidential candidate of the NDC, Prof J. E. A. Mills, and his running mate, Alhaji Mohammed Mumuni, as well as the Ahwoi brothers, all in the NDC, had never hidden their Nkrumaist identity and it would not be out of place for all to come together for the common good of the country. 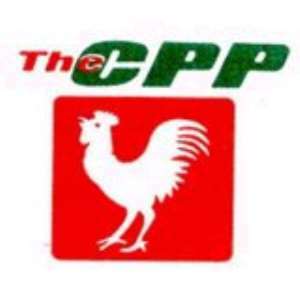 Touching on the abysmal performance of the CPP in the general election, Prof Dowuona described it as “self inflicting”because before the elections, well-meaning CPP executives had been predicting the doom of the party. He said such people who run down the party were of the view that the party would not do well in the elections so it would be prudent not to participate in them but should wait for the 2008 elections. Prof Dowuona explained that it would have been politically unwise not to participate in the 2004 elections because it would have made the party invisible and added,“Who said the other parties would wait for CPP in 2008?”.The presidential candidate of the PNC, Dr Edward Nasigre Mahama, on his part, said it was too early to talk about politics just after the 2004 elections. He said Ghanaians should not be saddled with issues of merger.“We should concern ourselves with who President Kufuor would appoint as the Finance Minister, among others.We should give President Kufuor an honeymoon of about 100 days,”he said.